Check out our picks for the very best new pre-, mid- and post-workout nutrition options for runners—and we’ve tried it all! Runners are often wary about trying new pre-, mid- and post-workout foods. That aversion makes sense for race morning—no one needs a portapotty surprise while chasing down a PR!—but during training, testing new fuel can have incredible upsides. Nutrition brands are consistently improving their offerings and new companies pop up every day. Perhaps there’s a product out there that’s perfect for you, just waiting to be sampled! For our annual Fuel Up Awards, we focus on new items—out in the past 12 months. Most of our picks tell a larger story about why certain ingredients are ideal for runners and trends in race nutrition. More importantly, they also passed our taste test! When would I eat this? This 310-calorie bar is ideal after a run or muscle-burning workout, but it’s also a good light meal beforehand (with enough time to digest). Runner benefits: Although it seems like this is basically ground-up almonds and maple syrup, there’s also a blend of superfoods like kale, flax, carrots and more, so there are all kinds of vitamins and minerals along with 13g protein for muscle recovery. How’s it taste? Perfect Bar is the brand everyone in our office is always in search of—this new flavor was the top pick, but we’ll all happily eat most others too. When would I eat this? You could enjoy this 110-calorie bar at any time (even piecemeal like chews during a run), but depending on how you react to the fiber, keep in mind that this is 100 percent fruits and vegetables. 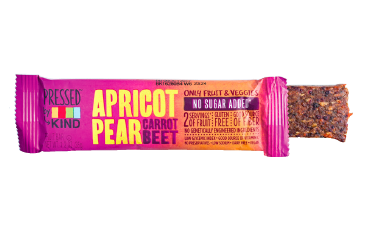 Runner benefits: With no added sugar or other ingredients, this bar delivers carbs with a low-glycemic index. How’s it taste? The only fruit not listed in the title is apple, so this reads like a mash-up of the five flavors, each of which you can discern if you have savvy taste buds. When would I eat this? Either in conjunction with a run or anytime you need a snack. Runner benefits: Made by professional runners and triathletes (hey, Lauren Fleshman, Jesse Thomas and Steph Rothstein Bruce! ), this bar has a combo of protein and carbs that’s good for recovery as well as fueling for endurance. How’s it taste? 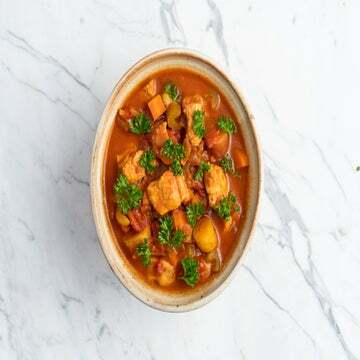 This flavor features the anti-inflammatory turmeric among other ingredients that will transport you to Morocco—a welcome change from some of the standard options we tend to see again and again. When would I eat this? This 260-calorie protein bar—14g from whey, pea and brown rice—can be eaten any time of day, but most runners will grab this after a workout. Runner benefits: The protein is good for helping maintain lean muscle. This bar, with only 5g of sugar, will delight the increasing number of athletes focusing on getting energy from carbs rather than the sweet stuff. How’s it taste? With a healthy dose of peanut butter, crispy bits and a chocolate-coated side, this deserves a healthy-candy-bar seal of approval. When would I eat this? Anytime, even during a run if that’s your style. A one-ounce, 80-calorie serving can easily pack into a baggie for a mid-workout nibble. 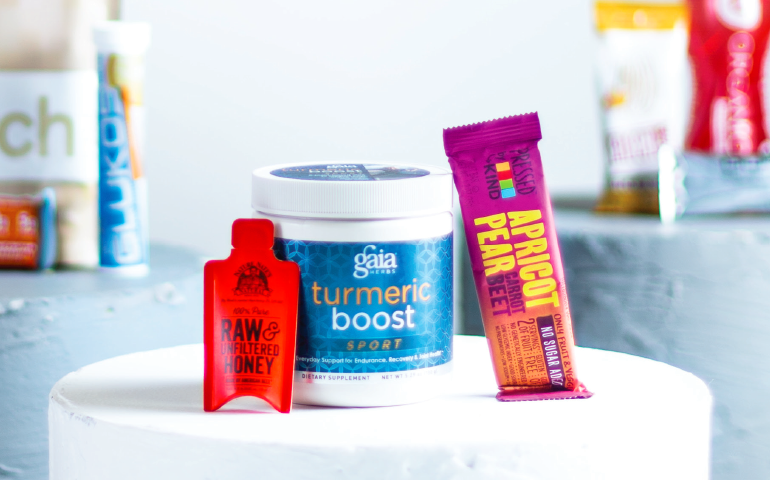 Runner benefits: More runners are going the paleo route, so we went in search of a completely natural product that works well when you’re laced up. This brand advertises itself as having the highest water content—better for digesting at top speed. How’s it taste? 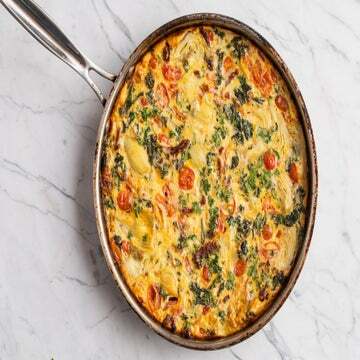 Not too peppery, hot or flavorful—exactly what our resident jerky-on-the-run eaters wanted. When would I eat this? This is perfect for during a run, used like a gel. Or you can enjoy it anytime you’d eat honey. Runner benefits: Each packet delivers 30 calories in a squirt of all-natural honey, so it’s a simple burst of sugary energy. How’s it taste? We bet you can figure this one out! When would I drink this? This is a new any-time-of-day drink designed to give runners some of the key vitamins and minerals they need. As an effervescent, dissolving tablet in water, this is an alternative to sugary hydration. Runner benefits: This includes vitamins and minerals people are most lacking—such as vitamins A, C and E, magnesium and calcium—along with electrolytes for everyday activity. With 10 calories per serving and 2g of sugar, this is a low-calorie way to hydrate without getting much sugar. This flavor is also caffeinated with green tea extract. How’s it taste? There’s a light ginger flavor to this lemonade. With stevia as one of the ingredients, our testers who are sensitive to that flavor didn’t think it was very strong. When would I eat this? You could eat these at any time, but they are designed so you can tuck the tube in your fueling belt or waistband (or simply hold it) while running and pop a chewable tablet as you run. Runner benefits: The brand’s focus on glucose for carbs/ energy makes the tablets gentle on the stomach, and the ease of portability is high. With 14 tablets, you can get up to 210 calories. How’s it taste? Seriously like a giant SweeTart that comes in orange, fruit punch or lemon. When would I drink this? This 120-calorie bottle is perfect for whenever you need to quench your thirst, and choosing organic is a clean option from a widely available brand. Runner benefits: With the only ingredient being water, sugar, flavoring (choose from strawberry, lemon or mixed berry) and electrolytes, this is a basic sports drink without any of the fake stuff. How’s it taste? Sweetened with plenty of sugar, but it still tastes light. When would I eat this? You can mix this with water and drink anytime, but it’s designed as a recovery beverage, especially when you’re on the road and can’t get a real meal. This company is committed to using clean ingredients, so you’ll recognize everything on the label. Runner benefits: A 200-calorie 12-ounce serving will replenish energy stores, with cane sugar as the first ingredient, but there’s also 7g of protein to help refuel muscles. How’s it taste? We had a tough time choosing among vanilla, chocolate and coffee, so go with whichever sounds best to you. All were rich and thick for just being mixed with water. When would I drink this? Either before or after a run, you can mix a couple of teaspoons (20 calories) in a smoothie, protein shake or juice. Runner benefits: Your joints will be happy with the turmeric (a root), quercetin (a flavonol) and boswellia (a tree) in this mix. These ingredients help relieve inflammation, promote endurance and aid in recovery. A prebiotic blend aids digestion. How’s it taste? Your drink will take on a decidedly chai flavor. Yum! When would I eat this? This is a 90-calorie gel that you’d consume mid-run or within 60 minutes prior. Runner benefits: The combo of carbs and caffeine are a two-fold energy boost. This brand from the United Kingdom has recently entered the U.S. market, but the performance proof is in stats from the Olympics: More than 30 medals were won by athletes fueling with Science in Sport products! How’s it taste? Similar to Sprite or 7Up. The packets may seem large, but the product isn’t thick, so it’s easier to swallow than some gels.